Blue Wave Communications originally got its start in the mid-1980s as the cabling solutions division of Compuquip Technologies. Compuquip originally entered the cabling industry because the company would frequently run into situations where poor or substandard cabling would impede the efficient integration of new IT systems and lead to unnecessary downtime for their clients. To address these frequent cabling problems, Compuquip created a division of cabling specialists specifically to tackle common cabling issues. Fast forward 20 years, and demand for Compuquip’s cabling solutions team became large enough to require the full attention of a dedicated company. So, in 2004, Blue Wave Communications was born as a specialized structured cabling company to offer customers the best cabling in the industry. Spinning off from Compuquip allowed Blue Wave to focus on providing top-tier cabling services while enjoying the security and strategic partnerships offered by being part of Compuquip. Today, Blue Wave Communications is regarded as one of the premier low-voltage contractors in South Florida offering complete communications technology solutions beyond just structured cabling. Our commitment to providing top-class service using only the best workmanship and materials has earned us consistent accolades from our customers. As a company, Blue Wave is committed to being more than just another cabling contractor. We are a complete technology solutions provider offering the highest quality work and superior service to all of our customers. 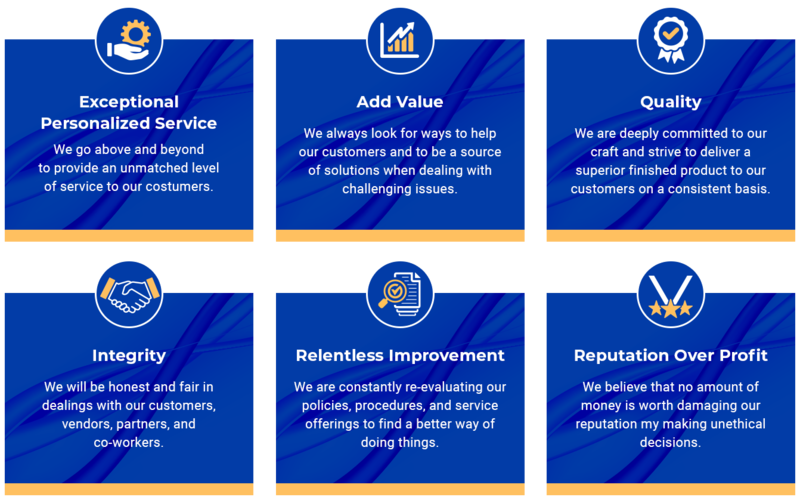 We do more than just the bare minimum required to meet your needs: We go above and beyond industry standards for service quality while providing cost-effective technology solutions. Providing prompt, polite, personalized, and professional customer service. The needs and wants of our customers (and we take great pride in designing and installing tailored solutions that exceed their expectations). Delivering high-quality work to our customers at a fair price. Helping our customers avoid and solve problems. Our specialization in cabling services and our dedication to providing a superior quality of work allow us to exceed expectations from the start of your cabling project and throughout the life of your network infrastructure. We’re a structured cabling company that builds long-term relationships with our clients—meaning that the completion of your cabling infrastructure installation isn’t the end of our service to you. We’ll work with you and your teams to provide top-quality work that is clean and organized to make your own work easier to handle. If you ever have a request for service, we’ll respond in a timely and professional manner—long after the initial installation is complete. Our technicians are formally trained on current cabling techniques and technologies. More than that, they’re coached to demonstrate the highest level of professionalism and dedication to quality on every job. We’re a state-licensed and fully insured low-voltage cabling contractor that has a team of BICSI Registered Communications Distribution Designers (RCDDs) who will help you by designing cabling systems that meet both your current and projected future needs. We’ll work closely with your architects, general contractors, electricians, phone system vendors, furniture vendors, and other partners to ensure that your cabling solution is thoroughly and properly integrated with your office. To help us guarantee superior performance, we partner with a variety of product vendors to ensure that we install only top-quality products. Blue Wave Communications only uses products manufactured by reputable organizations who share our commitment to quality and customer service. Our strong partner relationships enable us to provide extended product and applications assurance warranties on our installations that range from 15 to 25 years—that’s right, not months or days, but years.